Though most of the coverage of this year's Nobel Prize in Economics focused on the work of Elinor Ostrom, I'm more interested in the award to Oliver Williamson, Prof. Emeritus at the Haas School of Business at UC-Berkeley. 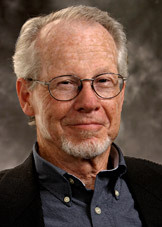 Williamson is a leading scholar in the field of "Institutional Economics," which studies the relative economic behaviors of organizations in the market. The field traces its origins to the pioneering work of a previous Nobel winner, Ronald Coase, who first observed that the existence of large, complex corporations suggested the existence of inefficiencies in the market that companies, an alternative to market transactions, could overcome, or at least reduce. Rather than negotiating with every person involved in the production of every car, for example, GM could internalize labor, production, sourcing and so on and achieve economies of scale. I've written about Coase and the importance of his work in all of my books. I've had the distinct pleasure of knowing him since my days as a law student at the University of Chicago, where Coase was on the faculty of the law school. My view, still controversial in some quarters, is that information technology has been reducing transaction costs in the market faster than it does in organizations, resulting in a shift in the balance of power between the two. In his seminal book, "Markets and Hierarchies," Williamson enumerated different kinds of transaction costs and their impact on economic events. In particular, he describes how differences in information sources between two or more parties to a transaction (say a buyer and a seller, for example) will affect the structure and behavior of the transaction in important ways. Coase, Williamson and others grew frustrated by the unwillingness of their economist colleagues to study the nature and causes of transaction costs, and in the mid-1990's formed their own field, which is organized under the International Society for New Institutional Economics. Both Williamson and Ostrom are members of ISNIE. Congratulations to both Prof. Ostrom and Williamson. Perhaps the award of the Nobel Prize will encourage more study of the nature and causes of transaction costs, and the ways in which disruptive technologies affect both.